It has been announced last week that EU has approved France’s plan to develop three different schemes for the expansion of around 17 GW of onshore wind, solar, and sewage gas installations in the country. The onshore wind scheme will require a potential budget of €1 billion per year, and will offer support for 15GW of new capacity during the next 10 years. The projects, which will take the form of what is called a premium on top of the market price, are likely to be small projects, offering backing to operators of small-scale onshore installations of no more than 6 wind turbines with a capacity of maximum 3 MW. The solar support scheme is a scheme for small-scale solar PV installations (below 100 kilowatt) on building roofs. These installations will obtain a feed-in tariff over 20 years and the premium on top of the market will change depending on the size and the business model – injecting the electricity back into the grid or consuming part of it. Around 2.1 GW of small-scale solar power is expected to be created through the scheme. The final scheme - sewage gas support scheme - could supply 160 MW of projects, most of them of less than 1 MW in size. Even though the scheme will be open to bigger installations, it is more likely that the support is given to small-scale installations. 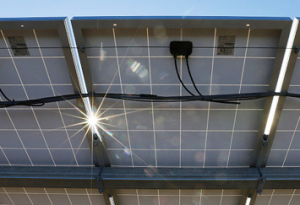 The more than 500 kW installations will get a backing in the form of a premium on top of the market price for a period of 20 years, but installations under 500 kilowatts will obtain a feed-in tariff over 20 years.